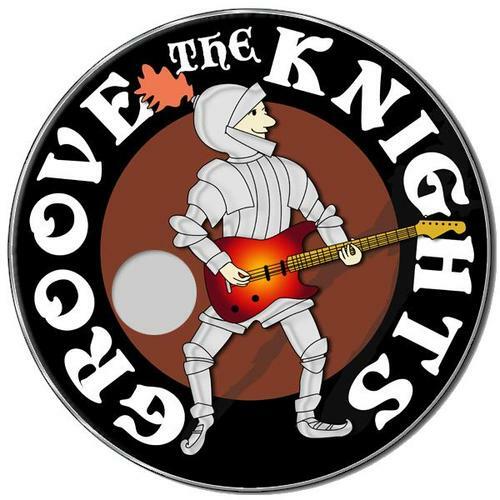 The Groove Knights are a dynamic team of Yorkshire based professional musicians that have a massive amount of experience in the industry. Their aim is to provide top class entertainment that's fun, enjoyable and professional for weddings, parties and functions. The Groove Knights connect with their audience's with songs from Motown, disco and popular music, specially selected to create that big party experience. They perform 2 x 1hr sets . During the day should you require a solo singer or a pianist - both from within the band, this can be arranged. The Groove Knights offer the complete entertainment package with no fuss and delivered to perfection. COUNTIES IN ENGLAND: Avon, Devon, Isle of Man, Norfolk, Suffolk, Bedfordshire, Dorset, Isle of Wight, Northants, Surrey, Berkshire, Durham, Kent, Northumberland, Tyne, Wear, Buckinghamshire, East Sussex, Lancashire, North Yorkshire, Warwickshire, Cambridgeshire East Yorkshire Leicestershire Nottinghamshire West Midlands, Cheshire, Essex, Lincolnshire, Oxfordshire, West Sussex, Cleveland, Gloucestershire, London, Shropshire, West Yorkshire, Cornwall, Hampshire, Manchester, Somerset, Wiltshire, Cumbria, Herefordshire, Merseyside, South Yorkshire, Worcestershire, Derbyshire, Hertfordshire, Middlesex, Staffordshire, West Midlands, Wirral. COUNTIES IN SCOTLAND: Aberdeenshire, Edinburgh, Galloway, Lanarkshire, Renfrewshire, The Highlands, Dumfriesshire, Fife, Midlothian, Stirlingshire, West Lothian, East Lothian, Glasgow, Perthshire, Strathclyde. COUNTIES IN WALES: Aberystwyth, Brecon, Cardiff, Carmarthen, Flintshire, Pembrokeshire, Swansea, Carmarthenshire, Gwent Powys, West Glamorgan, Ceredigion, Gwynedd, South Wales, Wrexham. CITIES AND TOWNS IN ENGLAND: Aylesbury, Carmarthen, Bath, Barnsley, Bedford, Berwick-upon-Tweed, Birmingham, Blackburn, Blackpool, Bradford, Brighton, Burton-On-Trent, Bournemouth, Barnstable, Bath, Basingstoke, Bodmin, Bracknell, Bridgwater, Brighton, Bristol, Burton-Upon-Trent, Central London, Greater London, Cambridge, Carlisle, Canterbury, Cheltenham, Chester, Chesterfield, Coventry, Crawley, Croydon, Chichester, Coventry, Crawley, Derby, Doncaster, Dorchester, Derby, Dover, Durham, Eastbourne, Exeter, Eastbourne, Exeter, Farnham, Folkestone, Gloucester, Guildford, Gloucester, Guildford, Harrogate, Hereford, Huddersfield, Hull, Harlow, Hemel Hempstead, High Wycombe, Ipswich, Leeds, Leicester, Maidstone, Manchester, Middlesbrough, Newcastle, Norwich, Northampton, Nottingham,Lincoln, Liverpool, Luton, Kidderminster, Leamington Spa, Leicester, Lichfield, Lincoln, Luton, Maidenhead, Maidstone, Milton Keynes, Newark, Newbury, Northampton, Nottingham, Nuneaton, Maidstone, Manchester, Middlesbrough, Newcastle, Norwich, Northampton, Nottingham, Plymouth, Portsmouth, Reading, Redditch, Redruth, Reigate, Rugby, Salisbury, Shrewsbury, Slough, Southampton, St Albans, Stafford, Stevenage, Stoke-On-Trent, Swansea, Swindon, Tamworth, Taunton, Telford, Truro, Tunbridge Wells, Watford, Winchester, Wolverhampton, Yeovil, London, Oxford, Peterborough, Plymouth, Portsmouth, Preston, Reading, Runcorn, Warrington, Wolverhampton, Sheffield, Shrewsbury, Stoke-on-Trent, Stratford-Upon-Avon, Swindon, Telford, Torquay, Winchester, Windsor, Worcester, York. CITIES AND TOWNS IN SCOTLAND: Aberdeen, Dumfries, Dunfermline, Dundee, Edinburgh, Glasgow, Gretna Green, Inverness, Kilmarnock, Oban, Perth, Stirling, CITIES AND TOWNS IN WALES: Cardiff, Caernarfon (Caernarvon), Colwyn Bay, Swansea, Bangor, Caernarfon, Newport, Rhyl, Tenby. Wedding pianist, Robert Baker can play relaxing, background piano music for your event, wedding reception or restaurant dinner party. jazz quartet is also available with Sax/Clarinet playing a little something that is bound to liven up any party!